I love wool. It's warm, breathable, and holds up well too! I've seen similar wool pants around on Etsy for $60+ dollars, but I thought: I can make my own! So I DID. And they are awesome. 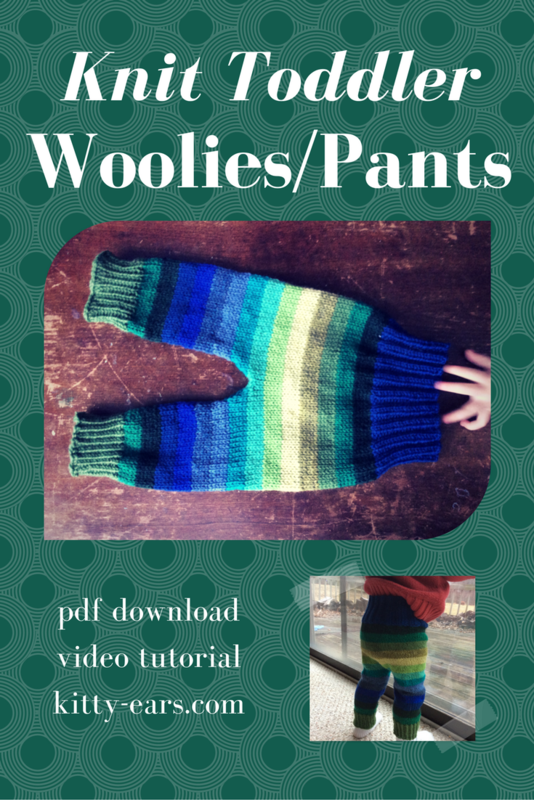 This knit pattern can be downloaded here (its $1.99) or the free video can be viewed below. There is a 12M, 2T, and 3T sizes, and instructions for cloth and disposable diapers. You will need a 4.0 and 5.0 circular knitting needle (16 inch) and 4.0 and 5.0 double pointed needles for the legs. The pattern is made from the top down, in the round, and is seamless. Enjoy!